These are not my cars. Here is a link to a few for sale in Texas. you MY FRIEND is are AWESOME>> hopefully get that dodge aries from plano texas and drive it to corpus christi.. emailed dude going to call him.. and make sure it doesnt leave until i get it ..
Make sure you look it over very well. 2K is alot for a regular K-car without the A/C working properly. It should really be pristine fro that price if its a sedan. The advertisement does not list the actual mileage. The clearcoat paint has a tendency to peel off on alot of Mopars from that vintage if its been outside alot and exposed to UV. Also, the interior (dashboard) tends to crack. Headliners also tend to sag becasue the foam underneath dries out. K-CAR_WAGON wrote: Make sure you look it over very well. 2K is alot for a regular K-car without the A/C working properly. It should really be pristine fro that price if its a sedan. The advertisement does not list the actual mileage. The clearcoat paint has a tendency to peel off on alot of Mopars from that vintage if its been outside alot and exposed to UV. Also, the interior (dashboard) tends to crack. Headliners also tend to sag becasue the foam underneath dries out. I dont understand the difference between sedan and coupe..
and i will be sure to check mileage.. i know they can be reset after they hit like 99999 miles which my car has past at least 2 times already and has 40 k miles on it now..
i wont get it if it has a clear coat from a repair place.. i want the original paint ..
interior dash i got 2 brand new ones at my house so i will be looking at it to be perfect with a clean engine for 2000.. he hasnt messaged me back or anything about the car.. so i dont know whats going on .. im ready to fly today and go pick it up if he sends me all the pics and junk..
i know enough to not get duped.. When I said "sedan" I was just referring to a 4 door or 2 door with a steel roof. 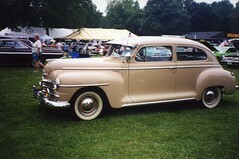 In general, with any old cars from a desrieablity standpoint and pricewise convertibles are most desireable, then station wagons, then 2 door models and finally 4 doors. In 89 I think the aries only came in the 2 door and 4 door version with no convertibles or station wagons being produced. I consider the 89 aries coupe a 2 door sedan. I don't know what term the literature used in 89. 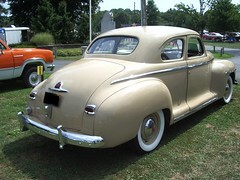 In the older cars, for example, 46-48 Plymouths there were different body styles for 2 door models: a 2 door sedan looked similar to a 4 door sedan but with only 2 doors, a 2 door club coupe was kind of chopped in the back but had a rear seat and usually a larger trunk, and 2 door business coupe had no back seat and a large trunk. 1 more question.. how do u find all this stuff on craigslist.. you search cities 1 by 1 .. .or is there a way to look at craigslist by state.. I think now you have to search city by city. A while ago there used to be websites that aggregarated Craigslist car fofr sale information, but I think Craigslist did not approve and put a stop to it. 88 aries wrote: Its simple....www.searchtempest.com.. Thank you so much.. this is the best site ever.. i can search all of whats on craiglist withing 2000 miles of me..